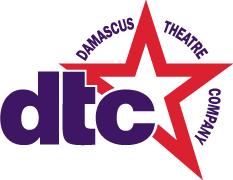 To become a member of the Damascus Theatre Company, complete the registration and payment form below. I would like to also contribute the following amount. Please list each family member, adult or student and date of birth. You may also download a printable copy of the membership form and mail it with a check or money order to address listed below. For additional membership information, contact us! NOTE: The membership and volunteer forms require Adobe Acrobat.